I have a plastic bag filled with recipes jotted down on scraps of paper by my mom. In this bag was a recipe for honey cake. After seeing the cover of the issue of the Martha Stewart Living June 2008 magazine with the beehive on it, I went on a hunt for the beehive mold and finally found it at Williams and Sonoma. What a perfect home for my mom's honey cake! Great for an outdoor party and for those who bring in the Jewish New Year with something sweet, this honey cake is tasty and fun. It certainly gets the ooohs and ahhhs of the crowd, baked in the beehive mold. And we had fun making the little bees out of marzipan that adorn it...although I cheated a bit the last time and bought the sugar bees on ebay. The bees in the picture below we made of marzipan. For those who are allergic to nuts, the sugar bees are perfect though. I know my mom would have been impressed with this version of her honey cake! This is really used to glue the 2 sides of the cake together if you are using a mold, so ignore the buttercream if you are not using the beehive mold. This is probably not a good idea if making for the Jewish Holidays because of the dairy element. Even if making a simple honeycake, this can be nice to drizzle over the top but totally optional and probably not a good idea if making for the Jewish Holidays because of the dairy element. 3. In a large mixing bowl, beat eggs , sugar, oil and honey at high speed until light, about 5 minutes. Add rind. 4. 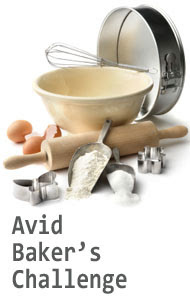 Add flour mixture, alternating with orange juice, beginning and ending with flour. Add nuts if desired. 5. 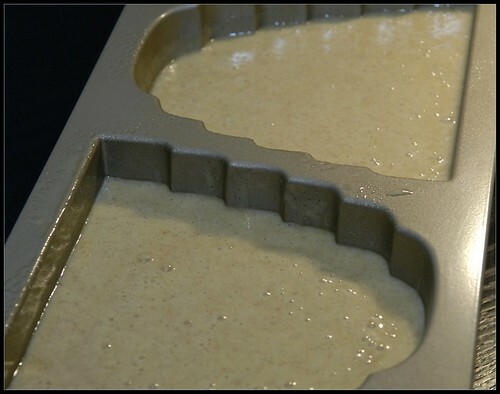 Divide batter between the molds (the mold is divided in half) , and place them on a baking sheet. If using other baking pans, add the batter to the pan. 5. Bake for 50-60 minutes (a tester or toothpick inserted in the middle of the cake should come out clean). Transfer molds to a wire rack, and let cakes cool in pans for 15 to 20 minutes. 7. Carefully trim the flat sides of the cake halves with a serrated knife so each is level. Align the halves to make sure they are flush, then separate. Don't cut off big chunks or it will not work. 8. Make the honey glaze: Bring honey, lemon juice and salt and bring to a simmer, about 2 minutes. Remove from the heat. 10. Make the buttercream. 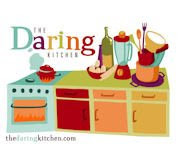 In a small bowl beat the butter until smooth and creamy on medium speed then add confectioners' sugar, milk, vanilla and salt and continue until light and fluffy. 11. Spread a thin layer of buttercream on the cut side of one of the cake halves. Place the cut side of the other cake half against the frosted side and gently press the two halves together. 13. Carefully transfer cake to a rack set over parchment. Spoon remaining warm honey glaze over cake until the cake is completely covered. Let stand until set. 14. Make the Royal Icing. In a small bowl, stir together the confectioners' sugar and the 2 tsp. milk until smooth. The icing should be thick but still pourable. 15. Carefully transfer the cake to a serving platter. Drizzle with the royal icing. 16. 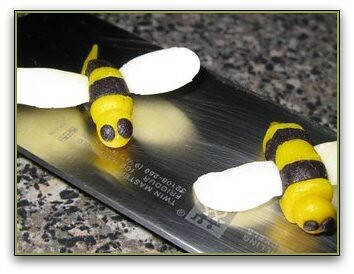 Make marzipan bees (optional) . Divide the marzipan in two and add a little yellow gel paste to one half and black gel paste to the other half. Knead to incorporate. Roll each portion into a 1/8 inch diameter rope. Cut into 1/8 inch slices. Stack 5 slices together flat sides facing alternating colors, starting and ending with a yellow. Press together gently. For the head roll a yellow slice into a ball and press onto body. For the eyes roll two teensy bits of black into balls and press into head.. For the stinger, shape the tail piece into a slight point. For the wings, press a sliced almond into each side of bee. Arrange marzipan or sugar bees on cake, pressing gently to adhere to icing. Until we bake again....and Happy New Year for those who celebrate the Jewish Holidays! It looks almost like a chocolate cake it's so dark. I thought honey cake was lighter for some reason. It does look very nice though mom, very fancy. Bubby would have definitely liked the presentation I think. This is the cutest cake, I love it! This is such an adorable cake :)! I especially like the detailed bees :). This is amazing! 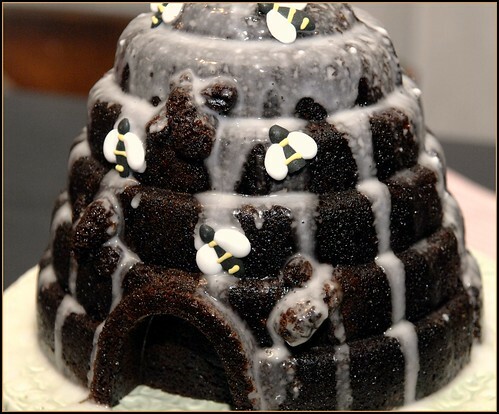 I am doing a bumblebee event and am not as impressed with the Nordicware beehive pan as I am with this. I looked at Williams Sonoma for the pan and I didn't see it. Do you have any suggestions? I, like you, am not on the hunt for this pan. Any advice would be greatly appreciated. I love your recipe! Thank you. Sara, if you lived near me, I would let you borrow it, but I am in Toronto, Canada...too far! Have you checked online? Perhaps call Williams Sonoma and they can send one to you? Good luck..and BTW what happens at a bumble bee event? ?